Steve Unger is a world traveler, accomplished author, and historian of Dracula – both the fictional character and the historical figure on which the legend is based. 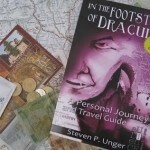 His book, “In the Footsteps of Dracula,” is a travel guide and photo memoir chronicling the author’s journeys in England and Romania to each spot visited in Bram Stoker’s novel and by the historical Vlad the Impaler. The books was recently ranked 5th in a survey of the World’s Best Romania and Moldova Travel Guides. Q. First of all, when did your interests in Dracula and Bram Stoker begin? My obsession to travel to every site related to either the fictional Count Dracula or his real historical counterpart, Prince Vlad Dracula the Impaler, grew out of a visit to Whitby, England, where three chapters of the novel Dracula take place. I stood on the cemetery hill where, in Bram Stoker’s Dracula, Lucy Westenra and Mina Murray spent hour after hour sitting on their “favourite seat” (a bench placed over a suicide’s grave near the edge of the cliff), gazing out toward the “headland called Kettleness” and the open North Sea beyond—while Count Dracula slept just beneath them. In my mind’s eye, I could see the un-dead count rising at night from the flattened slab of the suicide’s gravestone to greedily drink the blood of the living. The graveyard where Count Dracula spent his days sleeping in the sepulcher of a suicide looks the part that it plays, with its weathered limestone tombstones blackened by centuries of the ever-present North Sea winds. That graveyard made the novel more visible, more visceral, to me, and I wondered if the sites in Transylvania and in the remote mountains of southern Romania would evoke the same feelings. As I was to discover—they did. At that moment I decided to visit and photograph every site in England and Romania that is closely related to either Bram Stoker’s fictional Count Dracula or Vlad the Impaler—to literally walk in their footsteps and to write a book about my experiences. Q. In order to write your book, In the Footsteps of Dracula: A Personal Journey and Travel Guide, you traveled to many spots around England and Romania. What was your most difficult or noteworthy traveling experience? 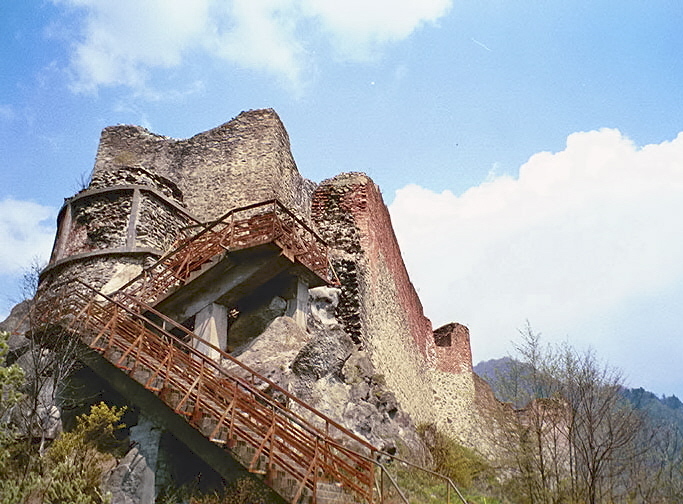 That would be Poienari, the real Castle of Dracula. I had traveled to other remote, forbidding places before entering the almost lightless forest of Poienari. But never before or since have I felt the apprehension and isolation I did while climbing to Vlad the Impaler’s mountaintop fortress at Poienari. The forest was as quiet as a tomb; I can’t recall hearing the song of even a single bird. The ascent was exhausting. At last, I encountered a grizzled, elfin gentleman sitting on almost the very top step, who indicated with his fingers the amount of the small entry fee. From there the lone approach to the fortress is by a wooden footbridge. Of all the places I explored that are associated with Vlad the Impaler (Vlad Ţepeş), only at Poienari did I feel that he was somehow still keeping watch. Perched on a remote peak near a glacial moraine in the Făgarăş Mountains of southern Romania, Poienari remains pristine and almost inaccessible. Because the terrain is too steep and isolated to ever be cultivated or developed, there will never be a theme park at Poienari with scary rides and Count Dracula/Vlad Ţepeş collectibles. Nor should there be, given the malevolent history of the fortress. Thousands of boyars (nobles) and their families had been force-marched there from Tărgovişte to die rebuilding the castle for Prince Vlad; it was here that his treacherous brother Radu stormed the fortress with cannons, reducing the once courtly residence into broken turrets and formless rubble. And it was here that Prince Dracula’s wife cast herself from the highest window of the eastern tower, choosing a swift death over the torture of the stake. Q. Did you manage to learn some Romanian during your travels? Romanian is very difficult, because there are so few English or Latin-based cognates. I always take a Berlitz phrase book, especially for ordering food or buying groceries. A few phrases and a bit of pointing have always gotten my basic needs met. Also, a lot of younger people learn English in school. Many older men have been guest workers in Germany, and I can converse pretty well in German. Q. Your book is partly a photo journal of your travels. Do you have a favorite photograph from your journeys? The first thing I had to do in Romania was to get to Lake Snagov and the island tomb of Vlad Ţepeş. This was when I first encountered the generosity of spirit that I would find again and again among the Romanian people. Before I left the U.S., I had been given the phone number of a man, Daly Gurman, who lived in Bucharest, by someone who knew someone named Ann E., who in turn knew Daly. I called Daly and soon discovered (1) that he only spoke German and Romanian (fortunately, I’m fluent in German); and (2) Daly had never heard of Ann E. Nevertheless, when I told him of my desire to visit Snagov, he invited me to come to his school the next day, where he taught gymnastics, and from there he would drive me to Lake Snagov. I was shocked. Who in America would take a call from a complete stranger, who was referred to him by another complete stranger, and offer to take off time from work and drive that stranger to a place 30 miles away? Daly, whose school was just a short walk from my hotel, was a wonderful help to me on my quest to describe and photograph the tomb of Vlad Ţepeş. He was able to find the pier at Silistea on the shore of Lake Snagov, and called Father Varahiil Bănăţeanu, whose cell phone number is posted by the pier. Father Bănăţeanu, the latest in a line of monks who for over 500 years have lived alone on Snagov Island to tend the grave of Vlad Ţepeş, rowed us to “Dracula’s Tomb” for a small fee. Though Father Bănăţeanu speaks only Romanian, I was able to communicate with him indirectly by conversing in German with Daly. 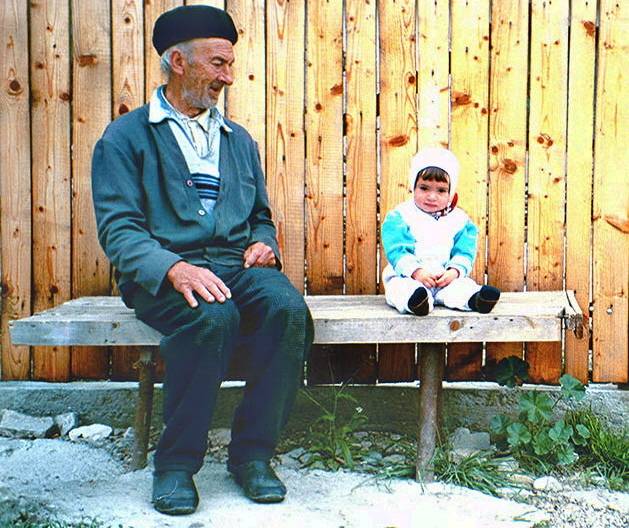 As Daly and I waited for Father Bănăţeanu on Silistea’s narrow wooden pier, I couldn’t resist taking a shot of two locals sitting on a nearby bench. Even with all the Dracula-themed photos I took, this one became my sentimental journey favorite. Q. Who is your favorite horror lover (writer, director, etc.)? 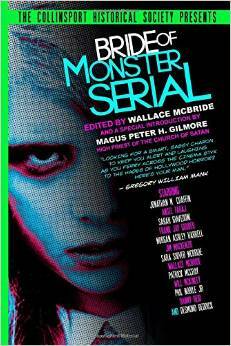 Growing up I voraciously read science fiction novels and horror comics. I especially liked Robert A. Heinlein’s The Puppet Masters—a prescient mix of Invasion of the Body Snatchers and Alien—and Murray Leinster’s giant-insect-riddled Forgotten Planet. Later I was fascinated with the underground lore and experimental style of William Burroughs, the cinematically vivid prose of F. Scott Fitzgerald, and the gritty hyperrealism of Hubert Selby Jr.’s Last Exit to Brooklyn. There is a palpable rhythm to all of their writing and dialogue, and I tend to write to the beat of appropriately nuanced music. I can still get my fix of old-time horror comics at this terrific blog from New Zealand. Q. Love at first sight, or love at first bite? When it comes to vampires, Bram Stoker’s vision of the count’s countenance was anything but lovely to behold. I think that ever since Dracula was published in 1897 (it’s the 2nd most widely read book in the world after the Bible and has never been out of print), there have been vampires to fire the imagination of every generation. Bram Stoker’s original vision of Count Dracula was most closely represented in F.W. 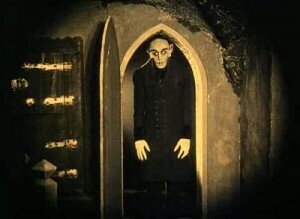 Murnau’s 1922 silent film Nosferatu with Max Schreck. By 1931 Count Dracula had already become urbane and seductive, as played by Bela Lugosi, but still unsympathetic. Christopher Lee made him more Westernized and imposing. But with True Blood and Twilight, vampires have finally merged with the audience’s dream of what they want to see in their own mirrors (now that vampires have begun to cast reflections): someone attractive, powerful, desiring and desired, and with a back-story that makes them not so much Evil incarnate as, well, misunderstood. Q. Reading your book makes the reader crave more about Count Dracula and his historical counterpart, Prince Vlad Dracula the Impaler, known in Romania as Vlad Ţepeş. 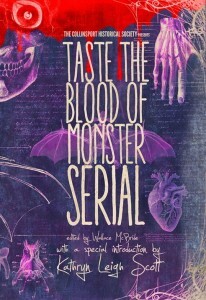 Can you recommend any additional good Dracula books to us—travel, history, or otherwise? First and foremost, the current definitive version of Dracula is The New Annotated Dracula, edited by Leslie S. Klinger (W.W. Norton, October 2008), an expert in Victoriana who also edited The Annotated Sherlock Holmes. The New Annotated Dracula features extensive footnoting and copious illustrations. For carrying on my trip (The New Annotated Dracula weighs 3½ pounds), I bought the Signet Classic paperback edition of Dracula, specifically the 42nd printing, which includes an informative introduction written in 1992 by Dracula and Bram Stoker scholar Leonard Wolf. I also recommend Lonely Planet’s England. It’s a big book—if you’re going to take it with you, I suggest removing the middle 400 or so pages and keeping only the info on London and Whitby—as well as Lonely Planet’s Romania (latest edition, June 2010; updated every three years). Both are comprehensive guidebooks with small maps of most towns and detailed maps of large cities. The books are informative without taking themselves too seriously. The Berlitz Romanian Phrase Book & Dictionary is worth taking along with you. A lot of the younger people in the larger towns and cities learned English in school, and generally you’ll also be able to speak English with hotel personnel and the proprietors of Bed and Breakfast establishments. However, in the countryside or at smaller restaurants, you’ll need some basic Romanian phrases. If you happen to know German, most Transylvanians of Saxon descent speak German and Romanian, although the majority of ethnic Germans left Romania after the reunification of Germany in 1990. Lucien Boia’s Romania (Reaktion Books, 2001) is part history, part geography, and mostly an informed and wryly affectionate psychological portrait of Romania and its people, written by a native Romanian who is currently a history faculty professor at the University of Bucharest. Tru TV’s online “Crime Library” includes a fascinating biography of Vlad Ţepeş by Joseph Geringer. Q. Do you have any upcoming projects related to Dracula or the macabre? I’m looking into participating in the Vampire Film Festival’s Midsummer Nightmare in New Orleans this July. It begins with registration at the Boutique du Vampyre in the French Quarter and ends three days later with a Vampire Funeral Procession at dawn. That’s enough for me right there . 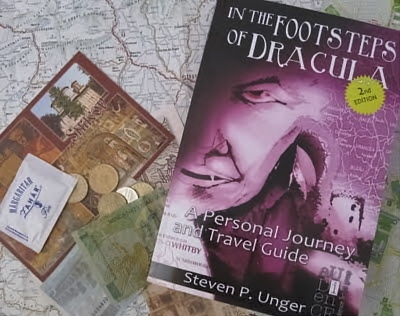 . .
To read more about Steve Unger’s travels or to find a copy of “In the Footsteps of Dracula,” visit the book’s Facebook page or Amazon listing. book review, Bram Stoker, Dracula, England, Gothic, Goths, Horror, In the Footsteps of Dracula, Memoir, Romania, Steve Unger, Transylvania, travel in Europe, vampires, Vlad the Impaler.